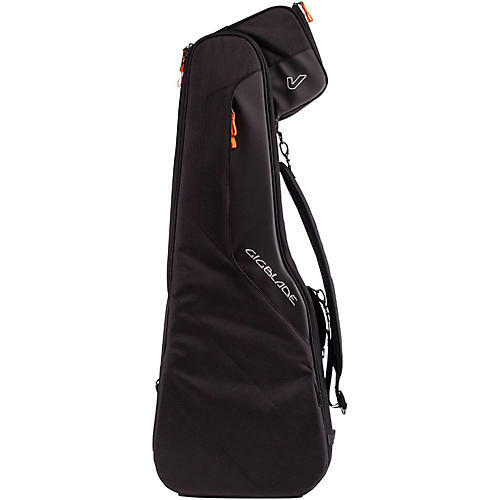 The world's original side-carry hybrid guitar bag. The GigBlade's unique side-carry approach offers the quickest, most practical and user-friendly way to carry your electric guitar. Staying closer to the ground, it keeps a low center of gravity so it feels more stable and natural. The top of the case stays low to avoid having to duck under doorways, and having the bag against your side means it won't bounce on your legs, staying clear out of the way while you walk. Offers both quick load and full clamshell access for ultimate versatility, and removable foam bars you can arrange to customize the fit. New version 2 model features an anti-slip shoulder strap, expanding main pocket to carry 3x more stuff, improved comfort with the backpack option, and the weather cover is now included. Get better protection that's easier to carry. Order today.